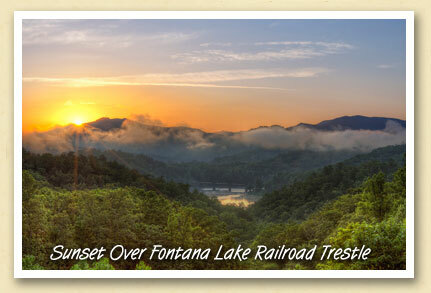 Nothing is more beautiful than sunset over the placid waters of Fontana Lake. Photographer Aaron Morgan captured this image with fog hovering over the railroad trestle in the Spring. You can see more of Aaron’s work at the website and Facebook page. Did you know that the aluminum New Zealand-style jet boats are actually manufactured in Bryson City? 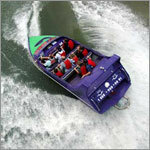 They’re made by Smoky Mountain Jet Boats, the same people that take riders on those crazy rides across the lake. 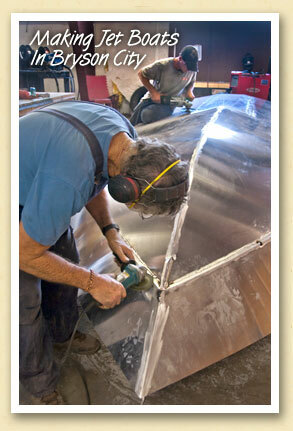 Above, Tony Ward and Adam Queen smooth the welds in a boat destined for Madison, Indiana. In just the past year, owner Nick Williams has shipped boats to Memphis, Myrtle Beach, Galveston, Gatlinburg and Naples, Florida; and as far away as Malta, Turks and Caicos, and Portugal. The company is only U.S. manufacturer of the New Zealand style boats that are United States Coast Guard approved. Each Summer, thousands flock to the Nantahala River for the adventure of whitewater rafting, kayaking, and such headliner events as this weekend’s ICF Canoe Freestyle World Cup Finals — activities that have made the river one of the region’s most popular recreational destinations. 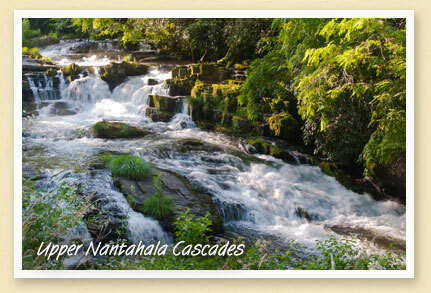 All that happens on the Nantahala’s last eight miles before it flows into Fontana Lake. But on the mountain above the rafting put-in, there’s another, quite different section of river known as the Upper Nantahala. Flowing out of Nantahala Lake — at 3000 feet elevation — the river drops almost 1000 feet before reaching the floor of the Nantahala Gorge. Along the way, it passes through a succession of waterfalls including the spectacular cascades (above) viewable from Wayah Road. Ever since Bryson City and the Nantahala Gorge were named hosts of the 2013 IFC Canoe Freestyle World Championships, there’s been a lot of buzz about an extreme sport that few of us have actually witnessed. 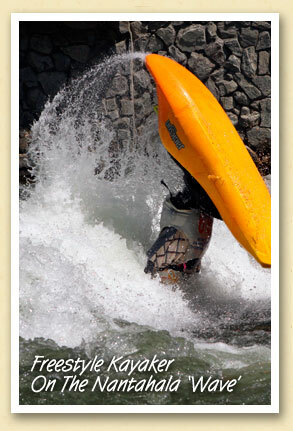 Next weekend should change all that when the 2012 Freestyle Kayaking World Cup Championships come to the Nantahala Gorge. While smaller than next year’s World Championships, the World Cup is attracting athletes from more than 17 countries and 5 continents. Preliminary events were held last week on the on the Caney Fork River in Rock Island, TN, and on the Pigeon River in Hartford, TN. The competition now moves to the Nantahala Gorge for next weekend’s Finals on Friday, Saturday and Sunday, September 7, 8 and 9. The event is free. Competition will begin at 10 am each day and end around 7 pm. Spectators can expect shaded riverside seating, live DJ and event announcer. On Saturday, there’ll be special riverside kids activities from 1:00 to 4:00 pm. Competition will be followed by free live music on Friday and Saturday evening. Parking will be available in remote lots along Silvermine Rd, with free shuttles driving to and from the event site approximately every 10 minutes.